The exhibit entrance at the newly-opened Anna Wintour Costume Center. The new exhibit Charles James: Beyond Fashion opened to the public today at The Metropolitan Museum of Art, providing a gorgeous retrospective of America’s greatest couturier who built—yes, built—glamorous dresses and ball gowns for society swans in the 1940s and 50s. 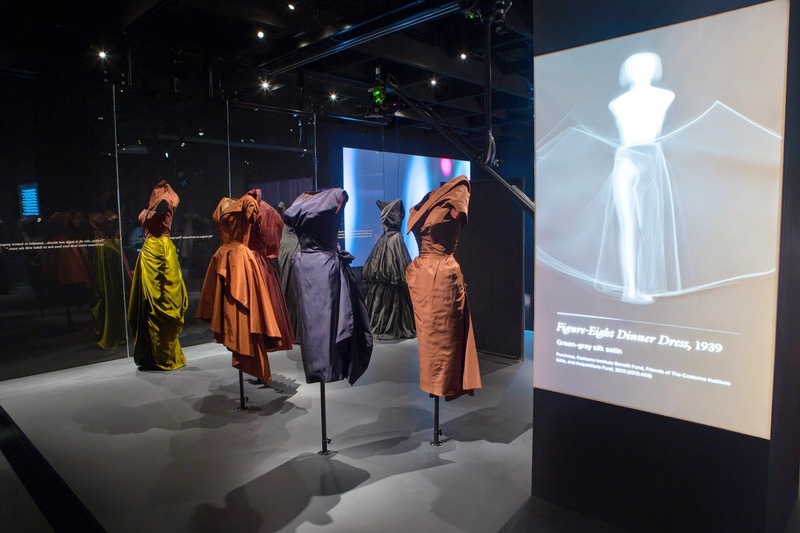 The exhibit also marks the opening of the new Anna Wintour Costume Center, named in honor of the Vogue Editor in Chief, who has helped raise millions of dollars for The Costume Institute since 1995. The renovated galleries will allow The Costume Institute to mount two to three exhibitions every year. The first half of the exhibit, in the Anna Wintour Costume Center. 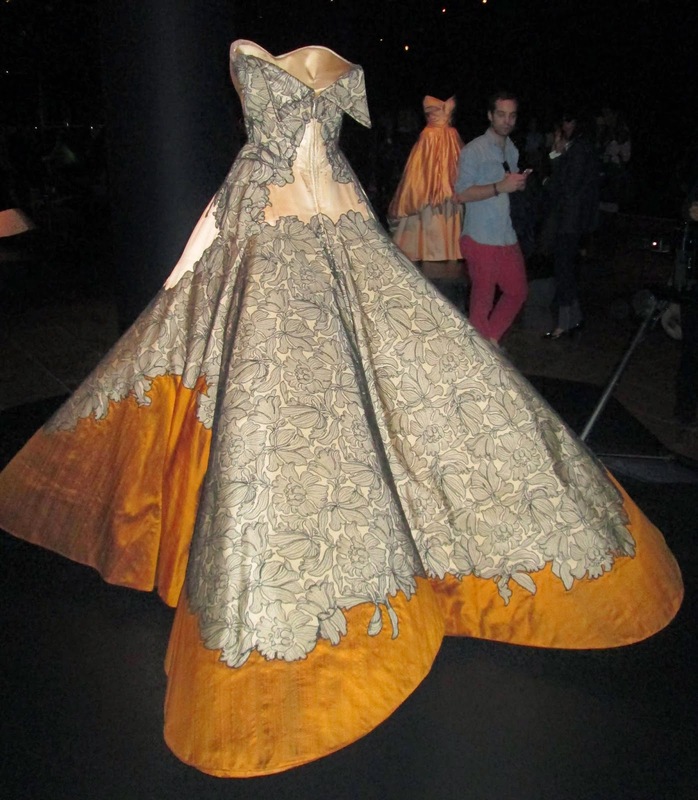 It is very fitting that the Met chose to open the new center with an amazing Charles James exhibition. The American couturier, born in 1906 in England to an American mother and English father, is largely responsible for the holdings of his work that the Met now owns. 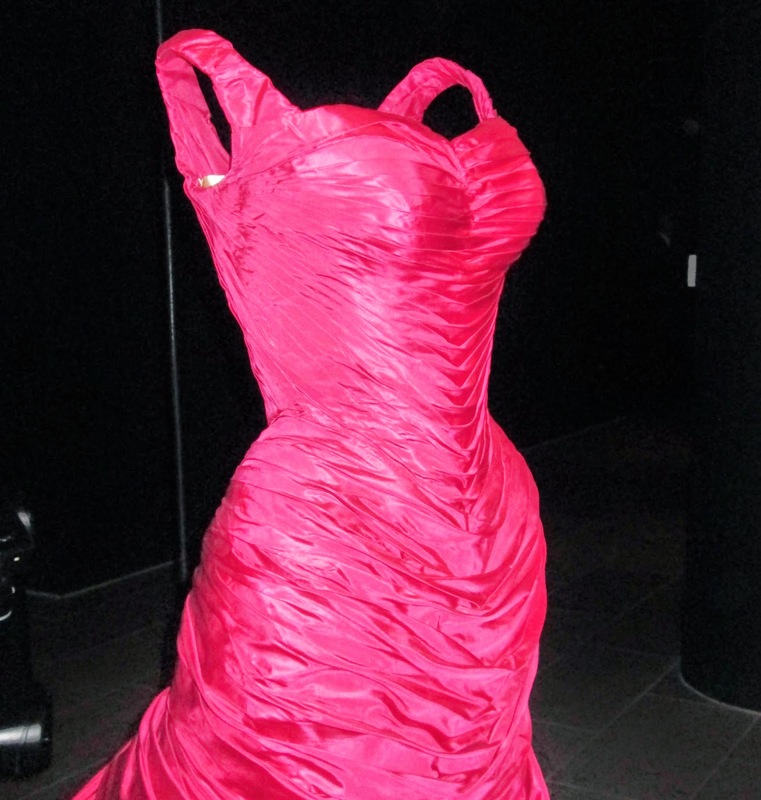 In 1944, James was drawn to the Brooklyn Museum for its reputation as a teaching museum and he persuaded the wealthy women who were patrons of his work, such as Millicent Rogers, Austine Hearst, and Dominique de Menil, to donate the gowns he made for them to Brooklyn Museum. In 2009, the Brooklyn Museum donated their entire costume collection, with over 24,000 garments and objects, to the Met. In doing so, they also transferred the ownership of a treasure trove of Charles James’ work, a collection he himself oversaw and helped put together. Another view from the first half of the exhibit. The exhibit is in two different rooms, with the first half, in the Anna Wintour Costume Center, featuring day dresses and coats, and the second half (the amazing half down the hall! ), housing his glorious ball gowns. You have never seen anything like these, I tell you. The exhibit entrance for the second half of the show. A 1951 ball gown of ivory silk satin. 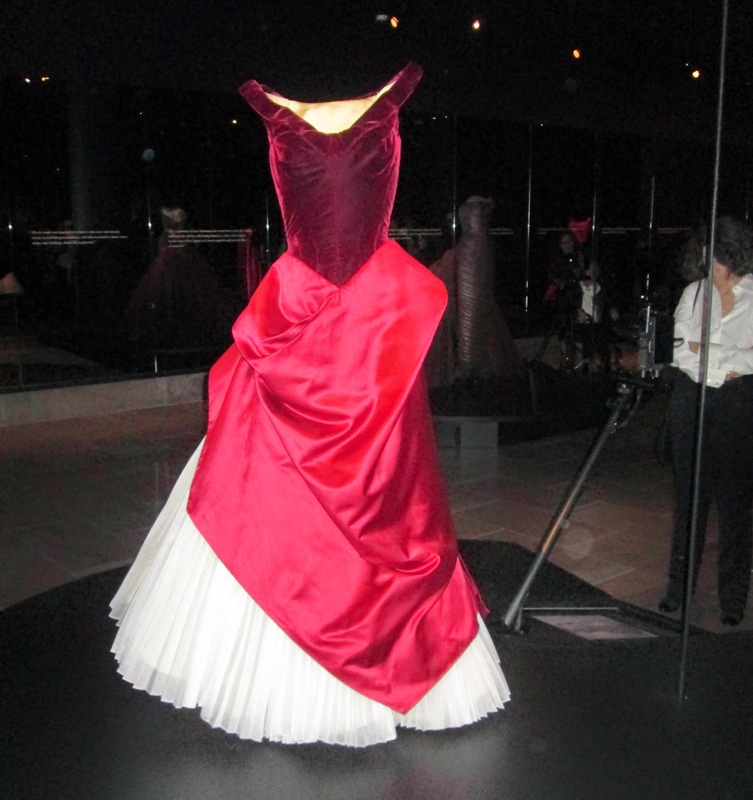 A 1949-50 Ball gown of red velvet and satin and white cotton organdy. This pleated cotton organdy is in perfect condition! 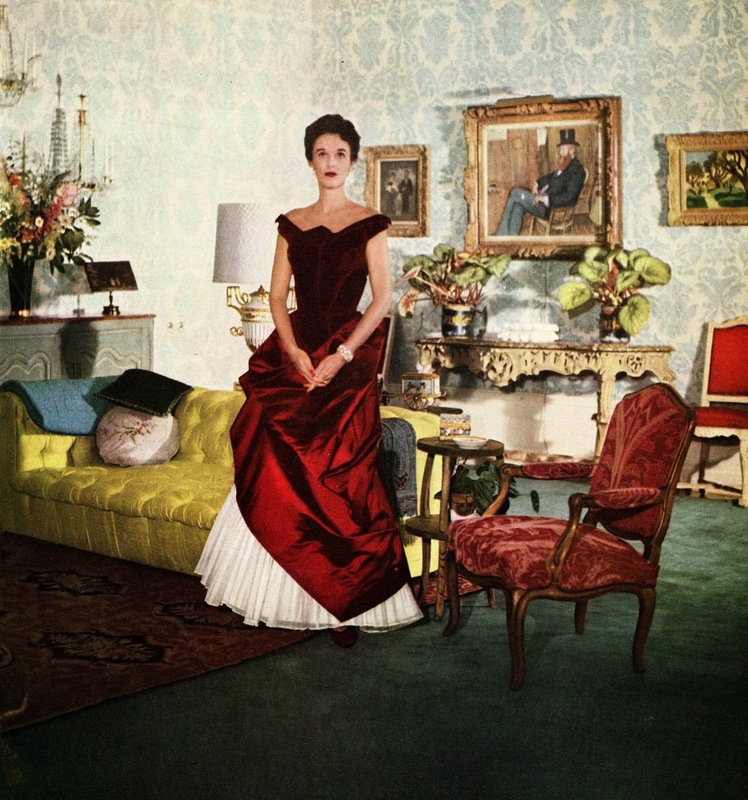 A 1950 picture of Babe Paley in a Charles James ball gown, similar to above. Photo by John Rawlings. 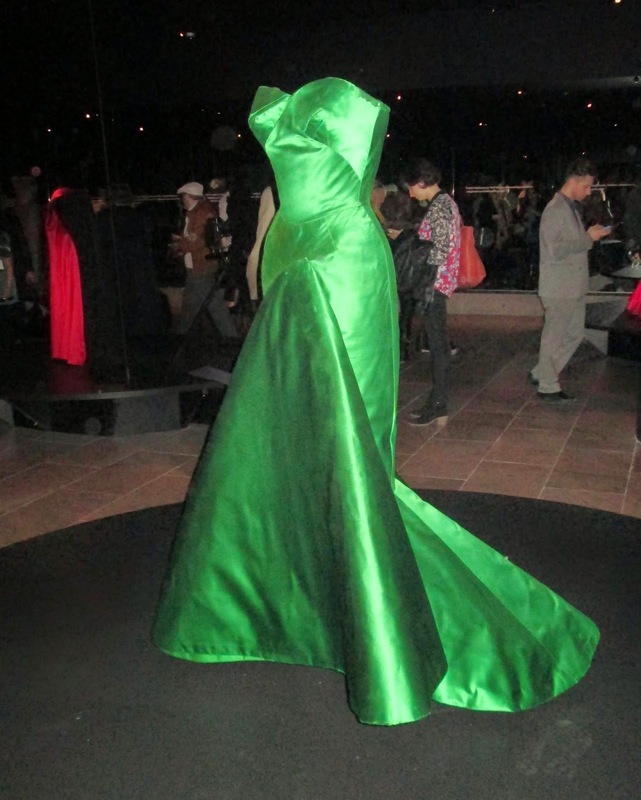 A 1954 ball gown of green silk satin. The back of the dress. 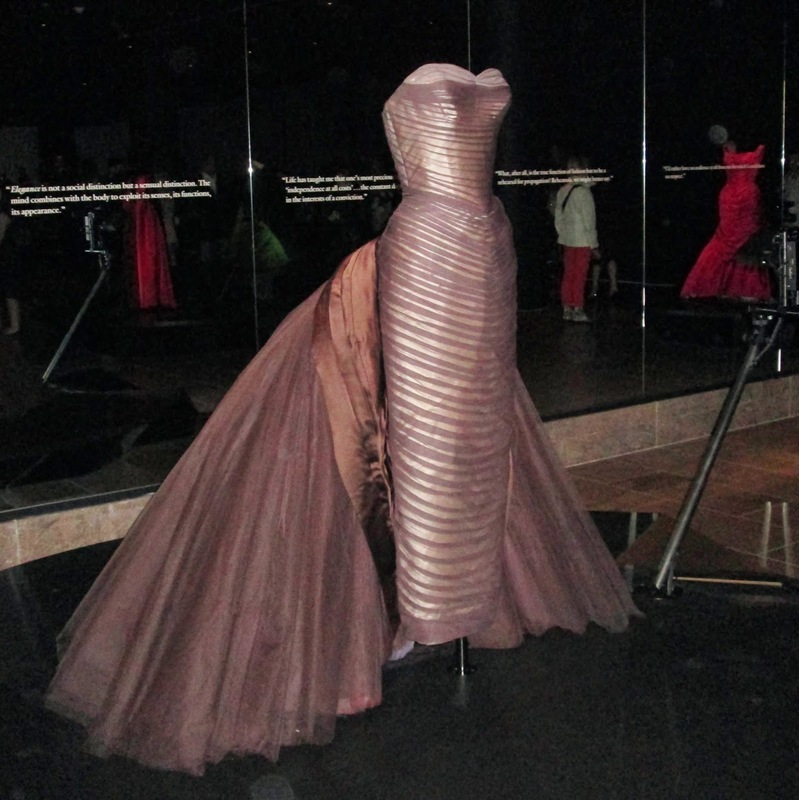 Charles James considered himself a sculptor and engineer even more than a designer and the exhibit highlights just what it took to create one of his gowns. 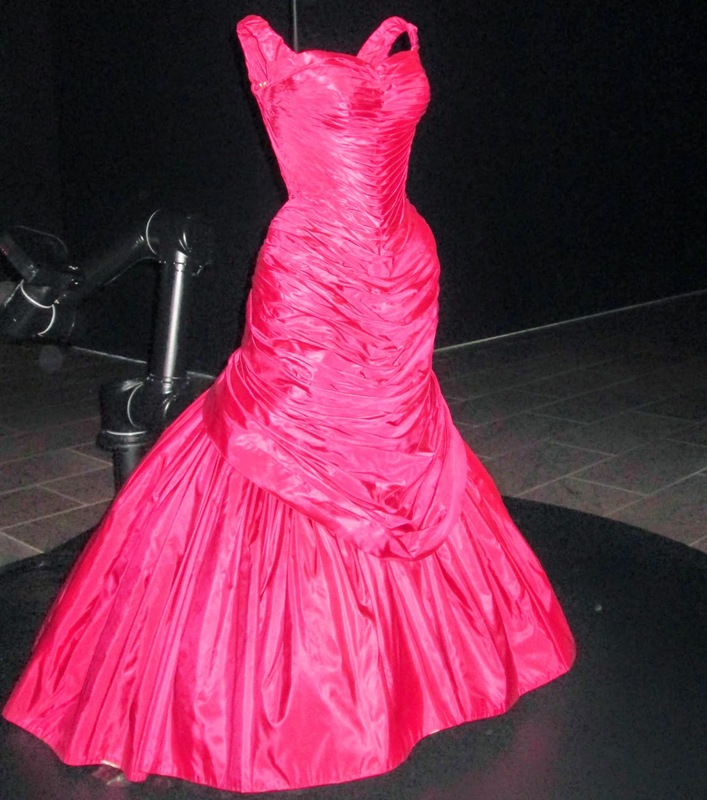 In the second half of the show, where the gowns that made him famous are, cameras move up and down each dress, throwing a spotlight on a particular piece of it. A screen below then gives you the details, showing the inner workings of the dress and the mathematical precision with which it was built. 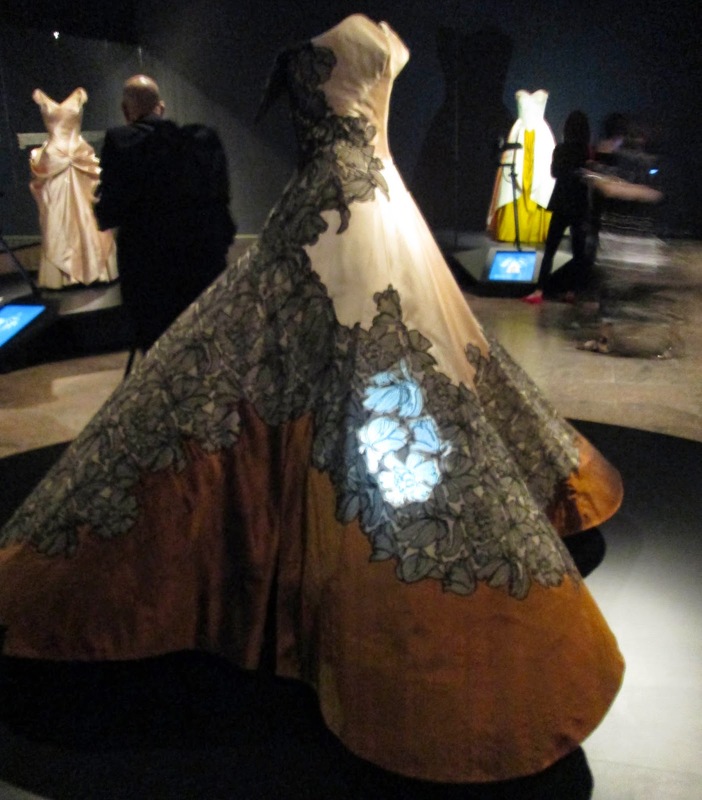 This innovative approach to exhibiting the gowns is curatorial work at its finest! A “Tree” ball gown from 1955. Screens give you x-ray vision into the inner workings of each dress. Anyone who loves old school glamour will appreciate this show but I think it will be especially beloved by those who sew because of the unique opportunity to get so close to each dress and the ability to see, with x-ray vision via the screens, exactly what is inside. Keep in mind that Charles James had no formal dressmaking training and what you see will amaze you even more. A “Butterfly” ball gown, 1955 of silk chiffon, satin, and nylon tulle. I love the tulle skirt. Details from the back bodice and upper skirt. Stunning. Charles James had a mercurial personality and is often described as difficult to work with and fiscally irresponsible. His perfectionistic tendencies led him to be slow to deliver gowns and meant he did not create many garments during his lifetime. He died in 1978, after living for 14 years in reduced circumstances in rooms in New York City’s famous Chelsea Hotel, continuing all that time to perfect former designs and formulate new ones. The work that he put into both his gowns and their preservation was time well-spent: His legacy of mid-century glamour, which still influences designers today, will live on forever. The back of the dress. This one has to be my new favorite Charles James gown. A detail of the amazing lace on the “Clover Leaf” ball gown. Gorgeous! Wow!! These are stunning gowns! I also love the clover leaf gown, the colors of copper with black and ivory (and some pink) are beautiful. What a wonderful gift Charles James had, and I'm glad to see that the beauty of his work is being preserved for all of us to experience. Thanks, Jill, for sharing this exhibit! Jill these looks are absolutely gorgeous! They awaken my desire to be a princess in a gown like this when I was young. I dress gowns (not nearly so beautiful) any time I had a crayon. Loved this! Thanks for hosting 'sneaker chic' by the way! Ooooh Jill...you got some great pics! I was there today. I bet you loved the green one! I loved the cloverleaf the best and also some of the daywear in the Anna Wintour galleries. Bought some postcards but not the catalog. You are right - this exhibit will be loved by seamstresses. I'll be blogging about it this weekend too. Those were the days when dresses really were elegant and feminine. So pretty! I would love to see one of these exhibits in person! Thanks for a fun shot of old school glam, Jill! I'm loving you posts on this exhibit. If anyone needed a reason to visit New York, this is in the top ten! 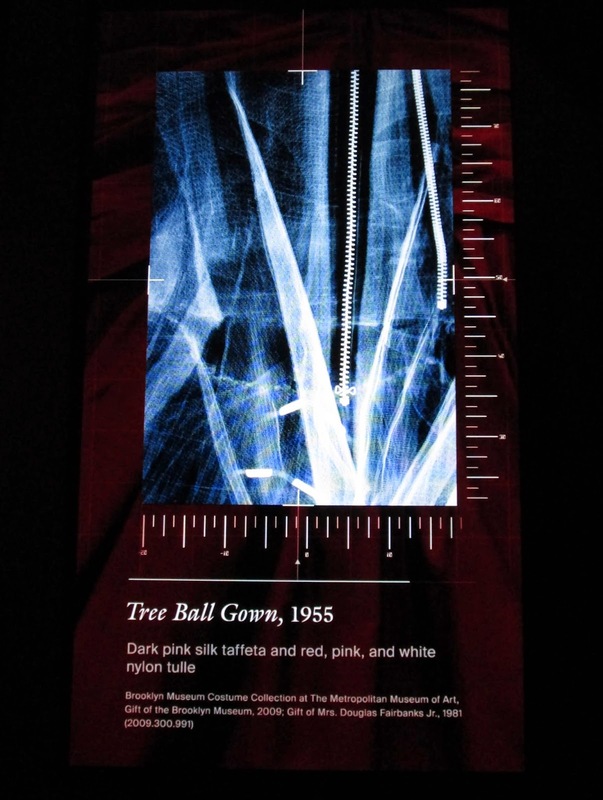 Love the idea of the x-rays of the dresses! Oh woah they so fabulous!!! I adore that first ivory one, what a dream it would be to wear!